For one glorious week, I lived the unplugged life in Santa Fe, NM. No social media. Even turned off my phone. Wrote long hand on a legal pad. My purpose for going to Santa Fe was to attend the Creative Reboot Conference – an amazing weekend of workshops for the sole purpose of tapping into our creativity as writers. The highlight was two workshops with Julia Cameron, author of The Artist’s Way and many other books. Fresh from several of life’s messes, including my son’s five-month illness, I desperately needed some down time. But this week also offered growth in my craft and immersion in one of the most creative places on earth. So I tacked an extra two days onto the weekend – time for just me – for that self-care my therapist says I need. Words fail to express how glorious that week became and what a milestone it was both personally and professionally. I have so many great ideas to share with my coaching clients. I also have several great ideas for blog posts and even for a future creativity retreat. And I am rejuvenated, refreshed, rebooted. In the next few weeks, I’ll be sharing some writing tips I learned at the conference. You can follow these tips on my newsletter. What is it about Santa Fe that evokes such a strong sense of belonging? The Environment. At 7200+ feet, Santa Fe rests between the Sandia and the Sangre de Cristo mountains. It lies at a higher elevation than Denver, the mile-high city, yet doesn’t feel like you have to climb enormous hills to get there. Some people do suffer from altitude sickness. I only suffered regret when I had to leave. The city is nestled like a bird resting in God’s hands, so you feel safe within those mountains, secure within its borders. The Climate. With little or no humidity, a bad hair day does not exist in Santa Fe. Compare that to Kansas where I might as well throw away my curling iron and forget the entire process. The week I spent in Santa Fe, daytime temps were in the 80’s and nighttime in the 50’s. Layered clothing required. My definition of perfect. The Diversity. Tourists from all over the US and the world visit Santa Fe. I met people from France, California, Minnesota, Germany, Chicago, Australia, Japan, Columbia (the country, not Missouri) and Colorado. Those who choose to live in Santa Fe may be Native Americans, Hispanics, Asians or Anglos – an amazing mix of God’s creatives. We easily mingled, shared tips about the best historical tours or joked with each other on the shuttles. The Architecture. Those curved, soft walls – no angles anywhere with the terracotta covering the adobe. The colorful doorways and window frames, usually a turquoise blue. From the St. Francis cathedral to the Loretto Chapel to the Georgia O’Keefe museum, Santa Fe knows how to display its unique beauty. The Atmosphere. The people of Santa Fe relish in the joy of relaxation and play. A wedding party marched around the town plaza, complete with Mariachi band, dancing bridesmaids and the newlyweds with happy glows on their faces. People stroll through the streets. No hurry to make appointments. Waiters and waitresses take time to stop and talk to their customers. Business owners do not pressure for sales. Everyone seems eager to meet you and take the time to learn more about you. The History. Each year, I read through my copy of Death Comes for the Archbishop by Willa Cather. Though written in novel form, it details much of the history of the region. The faith walk of Saint Francis and Father Lamy, how the famous cathedral was built and how the sisters of Loretto served the people of the community. I participated in one of the historical walking tours with an amazing guide who was born in Germany, raised in Chicago, then made Santa Fe her home. During that hour, I learned more about the region than previous years and reveled in the rich faith that built the city. The Arts. From Canyon Road to the winding Loretto staircase to the handmade jewelry of the Native Americans – the arts thrive in Santa Fe. In fact, people come from all over the world to attend the Festival of the Arts or buy season tickets to the famous Opera House. For a creative like me, it is like being drenched in the fiery juices of God’s artistic design. The colors and textures, the fine craftsmanship, the pride of each artist as s/he describes their process. Heaven on earth. Six years ago, my precious friend Deb and I made a research trip to Santa Fe. I was working on the last book of the Reverend G trilogy and needed to know first hand the feel of Santa Fe. I already loved the area. That trip cemented my craving for New Mexico’s finest. This time, without Deb, I determined to make my own memories although I still grieved her absence. But I felt her there with me, in the coral sunsets and the mournful tone of a wooden flute. Most of all, I felt a sense of homecoming – as if Santa Fe had chosen me for a week of rest and a reminder that life was about to turn around. That my son would indeed be well. That my words would impact readers and my soul would find its refuge. Hope strolls through the quiet lanes of Santa Fe and promises to call me back again. I plan to someday answer. Learn about Reverend G and her trip to Santa Fe in the trilogy: The Unraveling of Reverend G, Intermission for Reverend G, Final Grace for Reverend G.
We met as volunteers at a pregnancy crisis center – she with a desire to publish her books, I with the time and expertise to help her. 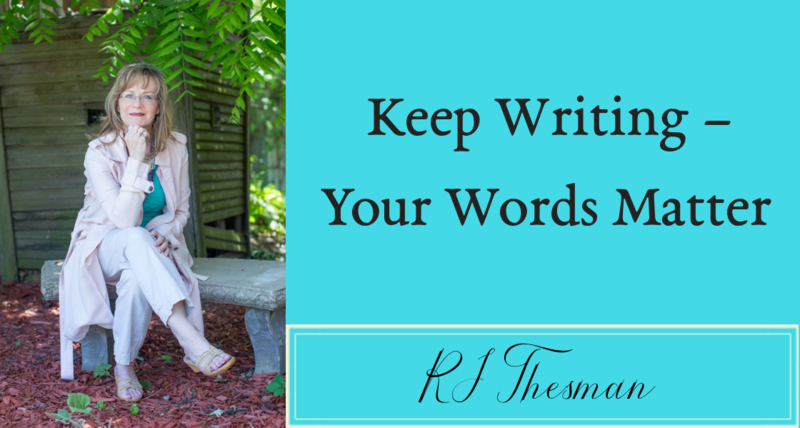 As writers, we both understood the calling and the passion of words – of using written tools to communicate God’s love. We shared a room at a writers conference. I helped her publish another book. Then our paths separated as I moved away. Yet somehow the connection endured, mainly because of her persistence in prayer. She handwrote long letters, wanting to know what I was writing, where I was submitting my work. And I knew, as surely as I knew her name – Jewel was persisting in prayer for my words. The years passed and I read of her progressive health issues, the struggle of car problems so frustrating for this dedicated widow, how to pay the rising taxes so she could stay in her home. The tales of grandchildren and the support of her family added color to her missives. No more letters from my Jewel. No more questions about my writing. Our connection now separated by the boundary of eternity. This week, as I readied my office to become a true writer’s study, I thought about Jewel. Now that I am transitioning into the place I’ve always wanted to be, I knew she would find pleasure in the journey. Is Jewel asking God about my writings? Is she reminding him of all the packets of prayer stored up on behalf of my passion? Since God treasures all our tears and keeps them in a heavenly flask, does he also store prayers in a special file labeled for our destinies? Do the prayers of a lifetime, from a faithful warrior, still affect the present? I live in the hope that our prayers for our children will continue to storm the throne of God – even when we are gone. And God will listen because he cares. He will act, because we care. Even now, I believe my writings are covered with Jewel’s prayers. The words will make an eternal difference, because one woman cared. And one woman prayed. During a conference last spring, I won the opportunity to pick a book from the freebie table. But the conference administrator decided to run the contest again – something about the numbers not being equal and fair to everyone. I didn’t really care but when they repeated the contest – once again – I won. It seemed like a divine coincidence I shouldn’t ignore. So I approached the book table and prayed I would make the right decision. Only one book seemed interesting, so I grabbed it and put it in my bag to take home. Then I forgot about it. Months later, I pulled it out of my bag and started thumbing through it – then reading more closely – then highlighting text and writing in the margins. This book has become a necessary piece of my limbo land puzzle. 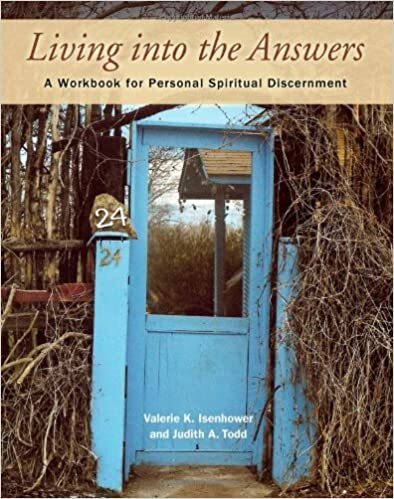 “Living into the Answers – a Workbook for Personal Spiritual Discernment” is now my traveling companion with journal prompts and prayers for spiritual direction. What is God’s longing for you? When do you most sense God’s presence? How does God fit into your life story? I was soon hooked into the value of this little workbook. After I finished, I put it aside for a while and last week – picked it up again. One of the chapters held a keynote for me which became a prayer, a journal entry and now – this blog post. That keynote is the principle of Holy Indifference. Ignatius of Loyola actually penned the term back in the sixteenth century – pretty smart for a dead saint. He described Holy Indifference as a state of inner freedom, openness and balance. But Isenhower and Todd take the principle a bit deeper. Their idea involves a willingness to follow the longings of God for our lives so no matter what he designs for us, we are indifferent to our own versions. To live within the balance of holy indifference, we determine that we don’t really care about the outcome of a decision. However it turns out – whenever and whatever God designs – is okay. We’ll take it – no matter what. The point is not to worry about the results and not to lean on our own understanding or even our reasoning capabilities. This practice of spiritual discernment shifts away from self and centers on God. When we come to a crossroads, we’re not afraid to follow him because we know he has the best in mind for us. He has considered all our objections and all our feeble plans. He asks us to trust him with everything we are and all that we desire – to walk boldly into the future with him. Every spiritual question seems to circle back to trust – at least in my life. Can I trust God enough to move me to a place I will love – even if I can’t see it right now? Will I trust that God has the best outcome already planned for me – even if it might include doing something I don’t like or giving up something I have treasured? Am I willing to trust that God’s longing for me will eventually result in something good and beautiful? Sort of makes limbo land less threatening and the outcome more exciting.